How Does the Amazon Echo Spot Stack Up against Other Echo Devices? Would the Amazon Echo Spot Make a Good Addition to Your Home? The Amazon Echo Spot is one of two new Echo devices equipped with a touchscreen, and while a 2.5-inch circular display seems like a welcome addition to its screenless predecessors, it turns out to be a lot less useful than expected. The small screen is great for video calling, checking the time, and watching music videos, but it’s ultimately too small for any extended amount of watching. The Echo Spot’s screen is impractical compared to that of the Echo Show, and its speaker quality doesn’t match the standard Echo. That said, Amazon’s Echo Spot might thrive under very particular circumstances—specifically for those in search of a subtle, aesthetic nightstand companion. Amazon’s Echo Spot has no direct competitors, so when considering pricing it makes the most sense to look at the product amid the growing stable of Echo devices. At close to $130, the Echo Spot is considerably more expensive than the standard Echo, which costs around $100. On the other hand, the Echo Show is considerably more expensive than the Echo Spot, costing over $200 for the bigger screen and better audio quality. Dimensions: 4.1 in. x 3.8 in. x 3.6 in. The Echo Spot is only slightly larger than the Echo Dot and it’s much better looking. It has a clean, rounded shape and a tilted screen that looks sharp sitting in your living room or at your bedside. Additionally, you can cycle between a number of on-screen digital and analog clock faces to find the best match for any room in the house. The traditional Echo and Echo Dot don’t look like they were given much attention to design, and the Echo Show looks like it was pulled from the back of an airplane seat. So if you’re someone who values aesthetics in your smart devices, the Echo Spot is by far your best option in the Echo line. As with other Echo devices, the Echo Spot gives you complete control over other smart devices in your home. You can ask Alexa to change the lighting throughout the house, adjust your smart thermostat, or display live camera feeds. If home automation is your goal, Amazon has a long list of Alexa-compatible smart devices that can all be controlled from the Echo Spot. Amazon added a button to the Echo Spot that disables both the camera and microphone when you don’t want to be seen or heard, but there’s no way to disable just the camera. Amazon’s all-or-nothing solution forces you to leave the camera on when you just want to control Alexa via the microphone. This seems like an oversight. In fact, I ended up blocking the camera manually so I could continue using Alexa without wondering whether or not I was being watched. The Echo Spot’s built-in speaker sounds better than the Echo Dot’s, but it’s noticeably inferior to the regular Echo. This wouldn’t be an issue except that the Echo spot is about $30 more expensive than the Echo. It seems like Amazon may have overvalued the usefulness of the Echo Spot’s screen when the company traded it for inferior sound quality. If sound quality is important to you, you can always connect an external speaker directly or via Bluetooth. Like most Amazon hardware, the Echo Spot setup was designed to be intuitive and worry-free. When I plugged in the device and connected it to my Wi-Fi, I was able to sync the device to my Alexa app (available for iPhone or Android, as well as on a browser). I could see this feature being useful for parents who want to keep an extra set of eyes on their kids from another room. This would also work with a doorbell camera if you wanted to check for delivered packages or see who’s knocking on your door. 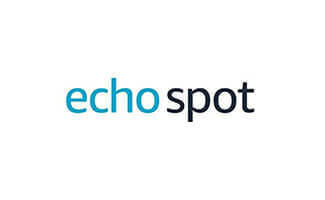 The Echo Spot’s screen is useful for a select few purposes and mostly impractical for longer viewing sessions. First, it’s nice to have the customizable LCD clock running in my house. 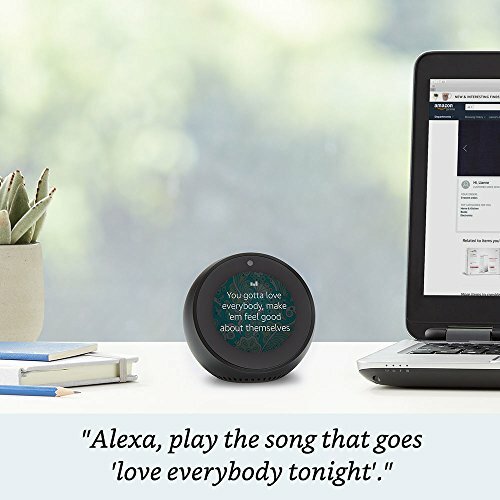 Second, I found an analog clock face that looked nice in my kitchen, and I appreciated that the screen would rotate between the clock, the weather, and some tips highlighting Alexa’s capabilities. I also tested the video calling feature, and while it worked well, it wasn’t noticeably superior to my iPhone’s FaceTime. But for most other applications, I found the screen to be more of a nuisance than a useful addition. The rounded screen cuts off about a quarter of the video, which became painful when I tried watching TV via Amazon Prime Video. If you plan to watch anything longer than a music video or quick news briefing, you might be better off spending a little more on the Echo Show. Roughly 30% of Amazon reviewers rate the Echo Spot at 4 stars or fewer. Many of these users report issues with the small size and limited functionality of the screen, which is the main feature that separates the Echo Spot from more affordable devices like the Amazon Echo or the Echo Dot. 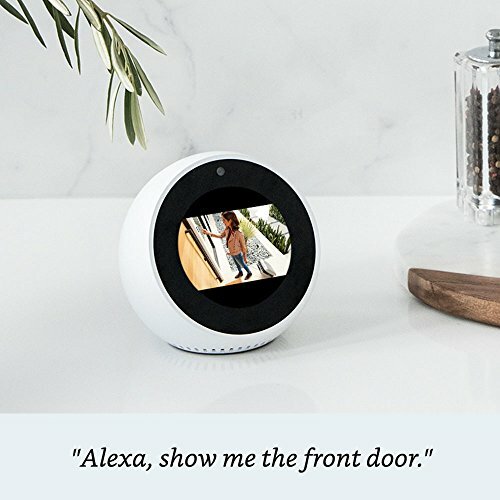 Those reviewing the Echo Spot positively find it particularly useful when integrated with other smart technologies, such as indoor cameras, doorbell cameras, and smart lightbulbs. Do we recommend the Amazon Echo Spot? It seems like Amazon has become more experimental with its Echo devices, which means there are bound to be some missteps along the way. The Echo Spot is an aesthetically sound device that tries to innovate beyond the traditional Echo with its small rounded screen, but ultimately the niche it carves for itself is just too small to justify its price. If you want video integration, the Amazon Show is a better companion to have around the house, and for most everything else you’d be better off spending less on a screenless Echo. That said, if you happen to be in the market for a smart alarm clock that can show you things like the news, weather, or your calendar, the Echo Spot can make a solid addition to your nightstand. Do you have a favorite Alexa-integrated device? Let us know in the comments below.